Back in the spring, I lead sessions on literacy motivation and engagement for teachers and parents in our building. One of the ways we can motivate and engage students in reading is to share our reading lives with them and to deepen our knowledge of children's literature. 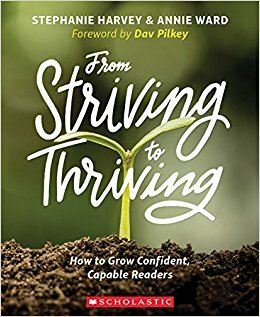 In 2009, Donalyn Miller (author of The Book Whisperer) started the summer #bookaday challenge as a way to challenge herself to read more (https://bookwhisperer.com/2016/05/24/the-eighth-annual-bookaday-challenge/). Since then it has been going strong! On curriculum day, I mentioned #classroombookaday (http://www.classroombookaday.com/) and how my colleague and I were committing to reading aloud one picture book every day of the school year in 4th grade. Well we did it! It was so awesome for enhancing literacy motivation and engagement with students. I HIGHLY recommend it! I hope you will consider joining us next year! At the parent workshop, I challenged families to continue with #classroombookaday and read one picture book every day for 80 days. As part of this "80 Books in 80 Days" book-a-day challenge, I plan to share my selections on Twitter with my students and their families (@MrsWeakland). I understand not everyone can or wants to take on that challenge, but just maybe you will pick up 10 picture books or read one good children's chapter book this summer! Reading children's literature can be full of fun, adventure, and humor and kids LOVE when you talk about books you read with them. #80booksin80days.....here we go! Stay tuned as I update my log. Books are rated out of 5 stars. 1. 6/16/18 - Harvey's Choice by Nikki Grimes. A poetry verse novel about an overweight boy struggling to find his identify in a world where criticism of those that are different abounds. The entire theme was summed up in a "words of the wiser" signpost on page 86 from his friend's mom: "Shine your light, no one will care what size candle holds the flame." 4 stars. 2. 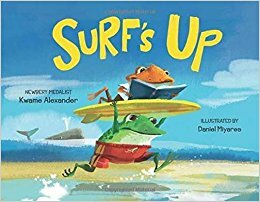 - 6/17/18 - Surf's Up by Kwame Alexander. 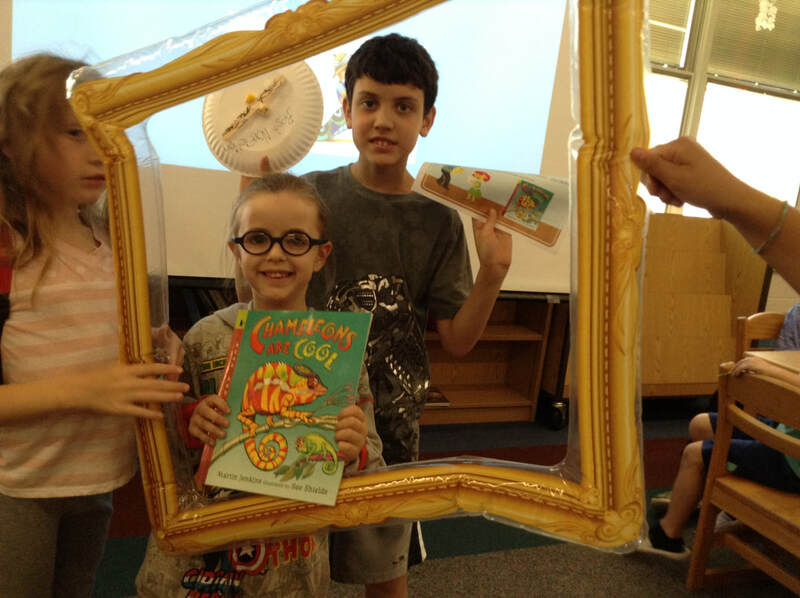 What better way to start summer than with a story about books AND the beach! I can't wait to put my toes in the sand and crack open a good book this summer. Cowabunga! 4 stars. 3. - 6/18/18 - What If... by Samantha Berger. For the creative soul in all of us. "There will always be stories to seek and find." 4 stars. 4. - 6/19/18 - Amal Unbound by Aisha Saeed. "Even in difficult situations, especially in difficult situations, you can't lose hope. Things change. They might even change for you one day." 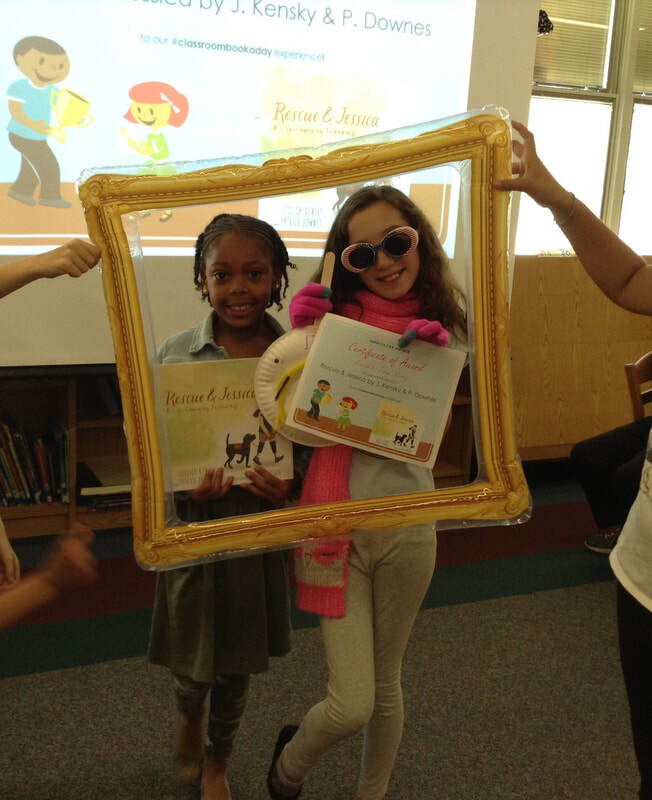 I too hope this story "shines a light on brave girls everywhere." "Making choices even when they scare you because you know it's the right thing to do-that's bravery." 5 stars. 5. - 6/20/18 - Ocean Meets Sky by Terry Fan. Summertime is for exploring! Getting lost in books and our imaginations! You will find me in the "Library Islands!" 4 stars. 6. 6/21/18 - Can I Be Your Dog? 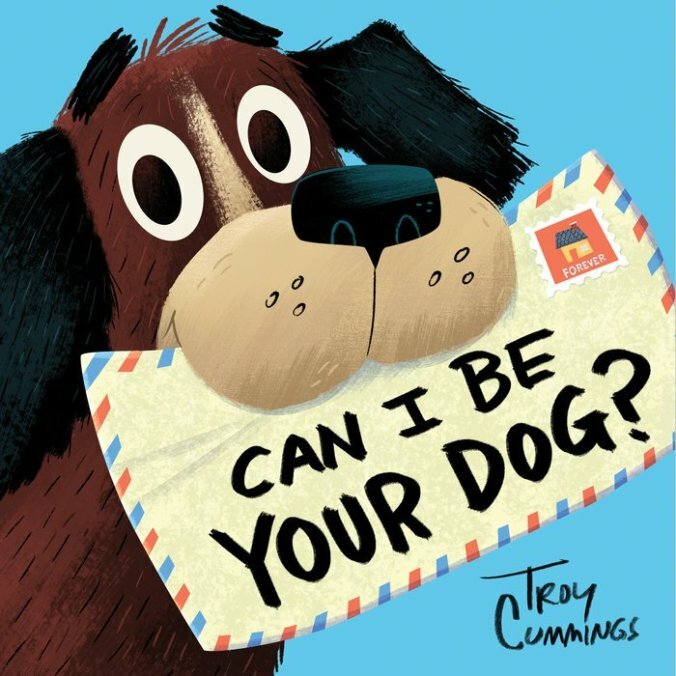 by Troy Cummings - Arfy teaching us the art of persuasive letter writing and how to help homeless animals! 3 stars. 7. 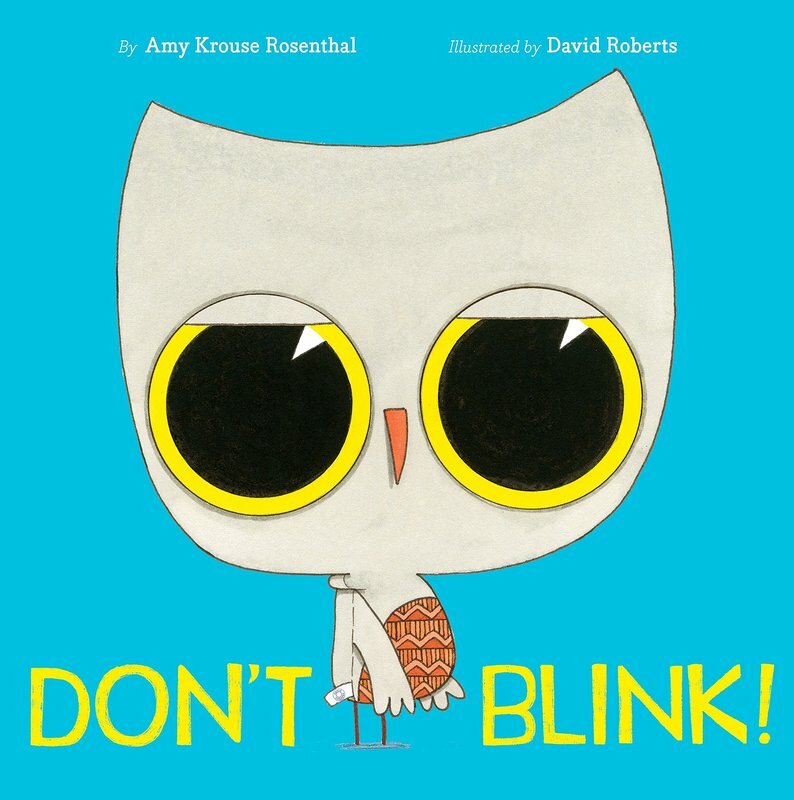 6/22/18 - Don't Blink by Amy Krouse Rosenthal - Holy pillow puffs! Whatever you do...don't blink! Cute bedtime story. 4 stars. 8. 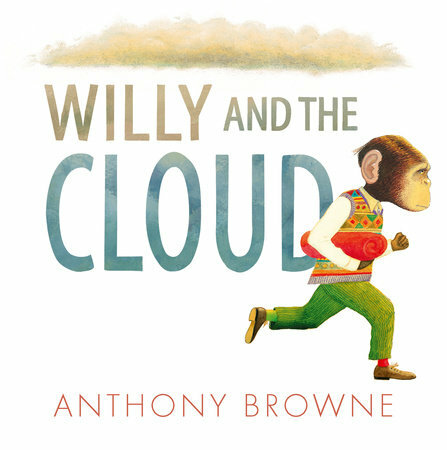 6/23/18 - Willy and the Cloud by Anthony Browne - Sometimes the only way to get rid of a pesky problem cloud following us is to face it head-on. 3 stars. 9. 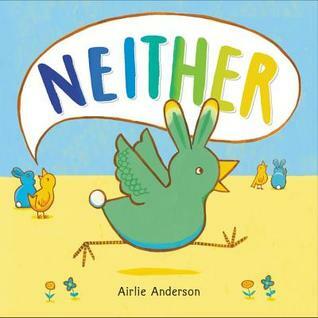 6/24/18 - Neither by Airlie Anderson - Learning a great message about acceptance of all in "Neither" by Airlie Anderson. 3 stars. 10. 6/25/18 - Misunderstood Shark by Ame Dyckman - Sharks ARE misunderstood! They need hugs too! 4 stars. 11. 6/26/18 - How to Code a Sandcastle by Josh Funk - Learning the steps to code today! Sequences, loops, if-then statements and more! 3 stars. 12. 6/27/18 - Diary of a Fly by Doreen Cronin - Fly wants to be a superhero. Words from the wiser worm..."The world needs all kinds of heroes." 2 stars. 13. 6/28/18 - Deep in the Swamp by Donna Bateman - Cute rhyming story about swamp babies & their mothers! Good info in the back. 3 stars. 14. 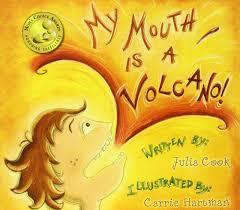 6/29/18 - My Mouth is a Volcano by Julia Cook - Learning what to do when our words wiggle and giggle and erupt out of our mouth like a volcano! 3 stars. 15. 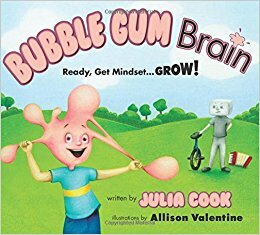 6/30/18 - Bubble Gum Brain by Julia Cook - Adding a "yet" to every "I can't." 3 stars. 16. 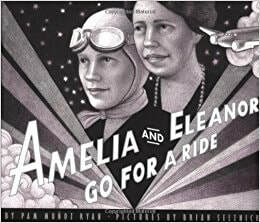 7/1/18 - Amelia and Eleanor by Pam Munoz Ryan - Two outspoken, courageous, bold and daring women of their time! Two birds of a feather. Lovely story! 5 stars. 17. 7/2/18 - Love by Matt de la Pena - Love is the melody that follows us through each day and takes countless forms, connecting us all. 4 stars. 18. 7/3/18 - The Thank You Book by Mo Willems - "I have a lot to be thankful for...I better get to thanking!" 4 stars. 19. 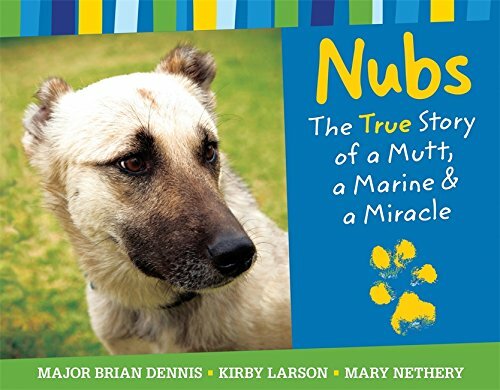 7/4/18 - Nubs: The True Story of a Mutt, a Marine, and a Miracle by Major Brian Dennis and Kirby Larson and Mary Nethery - What a great story! "If you do something kind for someone, dog or human, they will likely never forget it." (MajorBrianDennis) 5 stars. 20. 7/5/18 - Pardon Me! 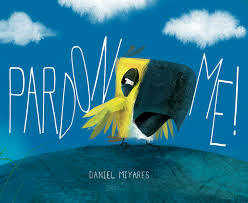 by Daniel Miyares - Pardon Me! Oh my! Life lesson...foxes do not cry wolf! 3 stars. 21. 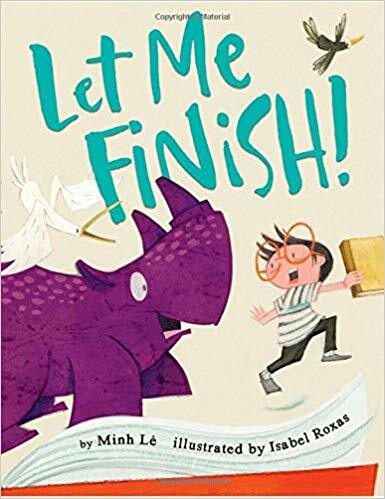 7/6/18 Let Me Finish by Minh Le - My favorite place to be is in the middle of a good book....SO LET ME FINISH!! ​4 stars. 22. 7/7/18 - Friends Stick Together - Friends stick together. Yes they do. 4 stars. 23. 7/8/18 - Can I Join Your Club? - Beautiful story on including everyone! "And Duck let everyone in" to OUR club! 4 stars. 24. 7/9/18 - Albie Newton - Thinking outside the box! 3 stars. 25. 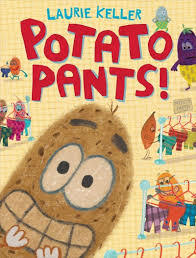 7/10/18 - Potato Pants - Let's do the Po-bot for Laurie Keller's new book! 4 stars. 26. 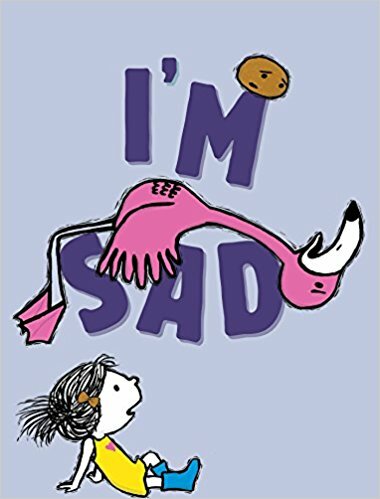 7/11/18 - I'm Sad - Good book for teaching kids that sometimes it's okay to be sad. 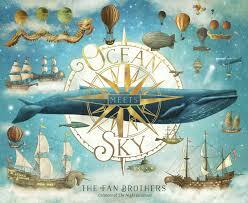 Beautiful illustrations. 5 stars. 27. 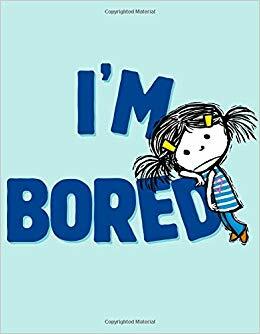 7/12/18 - I'm Bored - Parents...if your kids say they are bored this summer..head on over to the library and check this one out! 4 stars. 28. 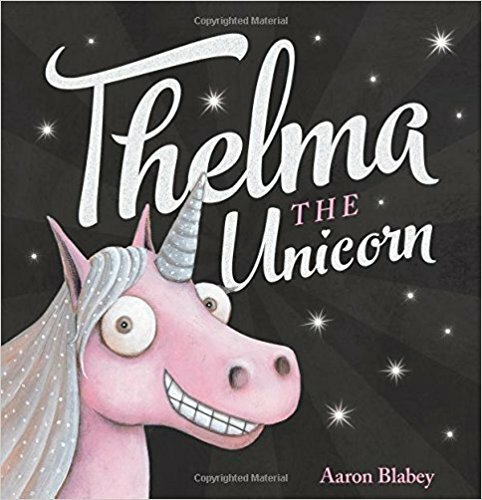 7/13/18 - Thelma the Unicorn - Great message about loving ourselves just the way we are! 5 stars. 29. 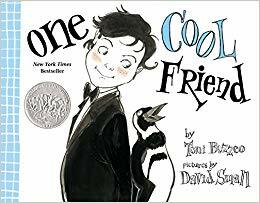 7/14/18 - One Cool Friend - Have you been to the penguin exhibit at the zoo yet this summer? You may just find one cool friend! 4 stars. 30. 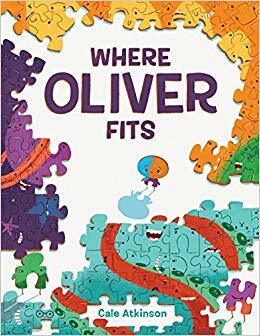 7/15/18 - Where Oliver Fits - "You can't rush or force your fit. All you can do is be yourself! No puzzle is complete without every last piece!" 4 stars. Classroom Book-a-day 2018 Academy Awards! 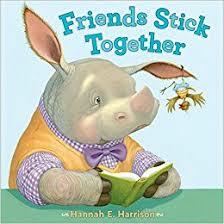 In the middle of last year, I began reading aloud a picture book every day as part of the #classroombookaday movement founded by Jillian Heise (@heisereads). (Read more here.) 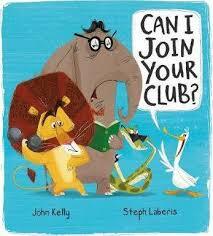 The students loved it and I decided to commit to an entire year of daily picture book read alouds. We decided to go beyond one-a-day and set a goal for 200! Well, we did it and I can't say enough for what it did for building a culture of literacy in my classroom. The conversations were rich. Students were exposed to so many different genres, writing styles, etc. Non-readers became readers! It was powerful. It was fun! 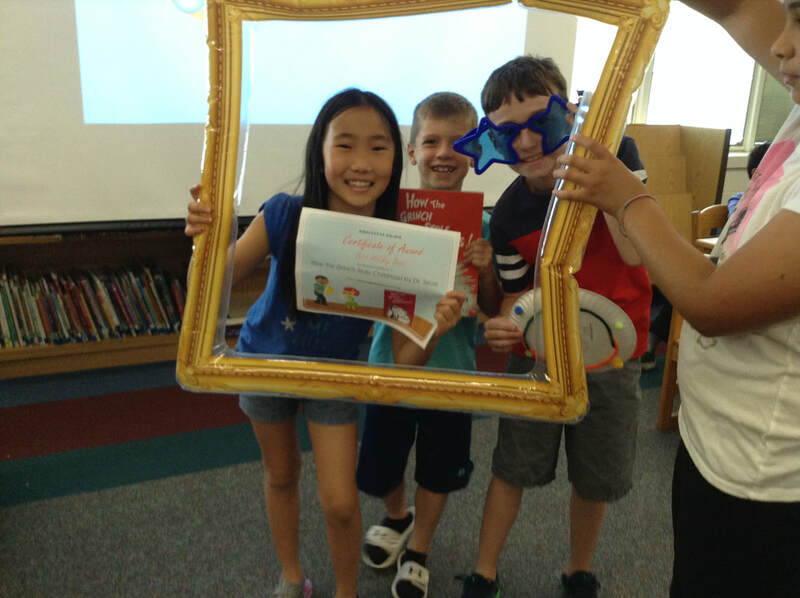 ​We were so sad to see the year end and to have to stop our shared reading experience! 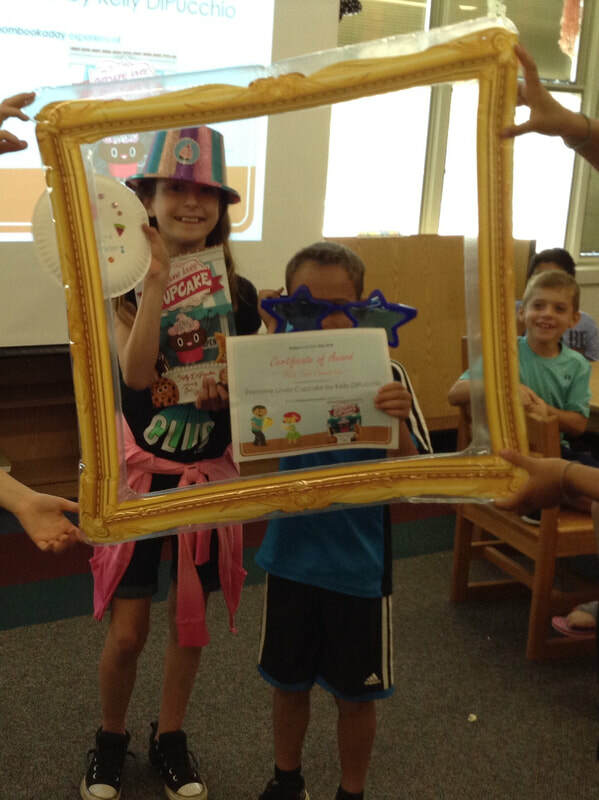 We decided to have a grand "Academy Awards" party to celebrate all of our reading. I got the idea from Jill Richards-Ramig (@RTSReadingT) & Allison Stout (@rtslitech) on Twitter and loved it! Best story under the sea (lake, etc). To see our winners, click here. To see ALL of the books we read, click here. To say students were excited is to say the least. 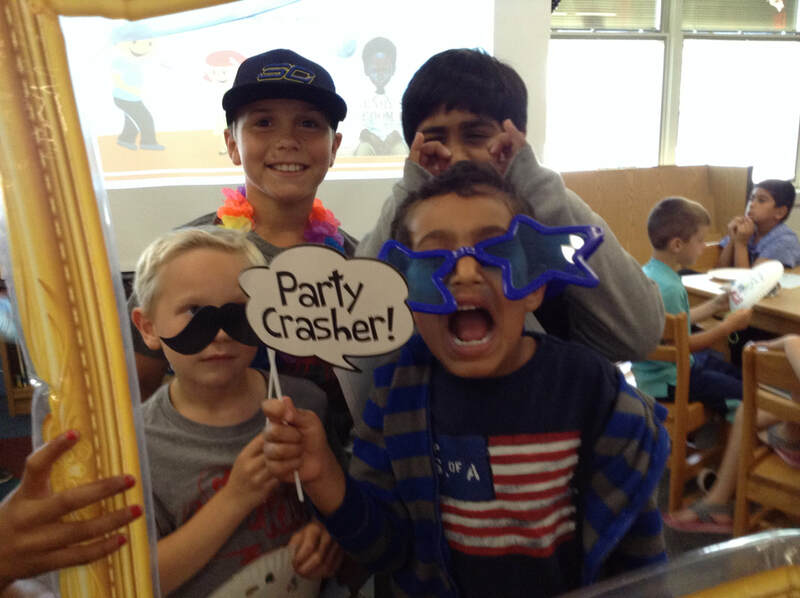 It's so fun to see kids fired up about books....isn't that what it's all about!?! I loved Stephanie Harvey & Annie Ward's new book, From Striving to Thriving! This year our school and district has focused a lot of the reading workshop and guided reading which are critical elements of literacy instruction, but this book really opened my eyes to the bigger picture of literacy motivation and engagement. I often tell my kids that you can't become an Olympic swimmer without getting in the pool and you can't become a better reader if you don't read!! Likewise, I think teachers can teach all the great "strokes" of how to become a better reader, but if kids aren't in the "pool" of books and reading, they can't master them. Harvey and Ward offer so many strategies for engaging the striving reader, my toolbox of strategies has grown dramatically. I loved it! I recommend you purchase this one right away. Happy reading! Dripping with Literacy - "Oh, you must be a teacher." I once had a friend over for lunch. She said to me... "Wow, your home is dripping with literacy." All I could think....I have too many piles of books everywhere! Another day, we had a new washer/dryer being delivered. The delivery man came in and said, "Oh, you must be a teacher." "How did you know?" I said. "My mom is a teacher. We have piles of books everywhere too." Oh my! Yes, I have a problem.... a book-problem.... a "I love to feed the Amazon beast-problem." Before I became a teacher I thought something was wrong with me. Then I met my tribe. Yes, we are a tribe. A tribe of people who love learning and I bet if I visited your homes, they would be dripping with literacy too! Today I was easing into my early morning Saturday routine. Sometimes I pop in on the #satchat, an early morning Saturday chat for educators. Q1 came across my Tweetdeck stream. Today's chat was being hosted by Beth Houf (@BethHouf) ....."Share a book that you are reading (or have read) that has been an absolute TREAT." Oh no! I quickly tab over to my Amazon beast. The titles were coming fast and furious. I quickly gave up trying to keep up and decided to come back after the chat and write them all down. Here they are #satchat! I hope you find a book that interests you from this list so you can feed the Amazon beast and share your love of reading and learning with others! Thanks Beth for facilitating the conversation this morning! Happy Halloween! Twitter is an amazing place. I am often asked about professional learning opportunities, as well as books to read. I immediately tell teachers they should start with Twitter! I have been on Twitter for over 4 years and I have learned AS MUCH from my professional learning network (PLN) as I have from any professional learning offering or book I've read. 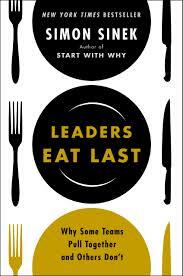 What books do you recommend to aspiring leaders? Are you interested in helping your students develop psychosocial skills such as perserverence, resiliency, and grit? Have you seen Angela Duckworth's Ted Talk on grit or read Carol Dweck's book, Mindset? Have you read Ron Ritchhart's book, Creating Cultures of Thinking: the 8 Forces We Must Master to Truly Transform Our Schools? Or have you read Mindsets in the Classroom: Building a Culture of Success and Student Achievement in Schools by Mary Cary Ricci? Are you interested in helping your students develop a growth mindset instead of a fixed mindset and need help getting started? If you answered yes to any of these questions, then I highly recommend you pick up this companion resource book for creating growth mindsets in the classroom by Mary Cay Ricci (@MaryCayR)! What are mindsets, and how do they affect the classroom? Why is a differentiated, responsive classroom important to a growth mindset culture? What messages should parents hear about growth mindset? Can gifted education and a growth mindset believe coexist? 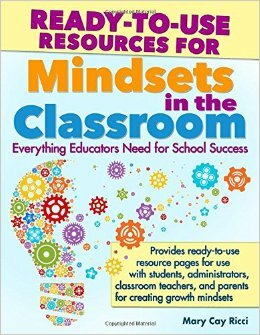 How can we use Mindsets in the Classroom in a book study or discussion group? I bought this book by itself and not as a companion to the earlier released Mindsets book. I'm not sure if having the Mindsets book would add value or if much of what is in that book is also in the resource book. But what I can tell you is this book is packed full of ideas, lessons, and resources ready to go for teachers, students, administrators, professional development educators, and parents. Student understanding of the brain and neural networks. Having an understanding of the brain and how it works "can significantly increase motivation." Developing student understanding of the brain and the neural networks. One of my takeaways and goals for this upcoming year is cultivating a differentiated, responsive classroom built on a culture of thinking, innovation, growth mindset, and of course...kindness. A key quote for me was "without pre-assessment, some students are not provided with opportunities to build resiliency, because they are never challenged, or never have to struggle with learning." We have to build in this pre-assessment in order to provide ALL students an opportunity to be challenged and to even have the opportunity to struggle with the learning! Several years ago I began implementing some of Carol Dweck's ideas on building a growth mindset in the classroom. A key word that I use a lot when I have students tell me they can't do something....I say "yet." I even have the word boldly posted at the front of the room. It's just one small change you can make in the language you use that models a mindset of growth. You should try it! If you are looking for a book full of resources to get started developing a growth mindset in your students, I highly recommend this book! I have to honestly admit, I haven't latched on to the pirate phenomenon in education as much as other teachers have. 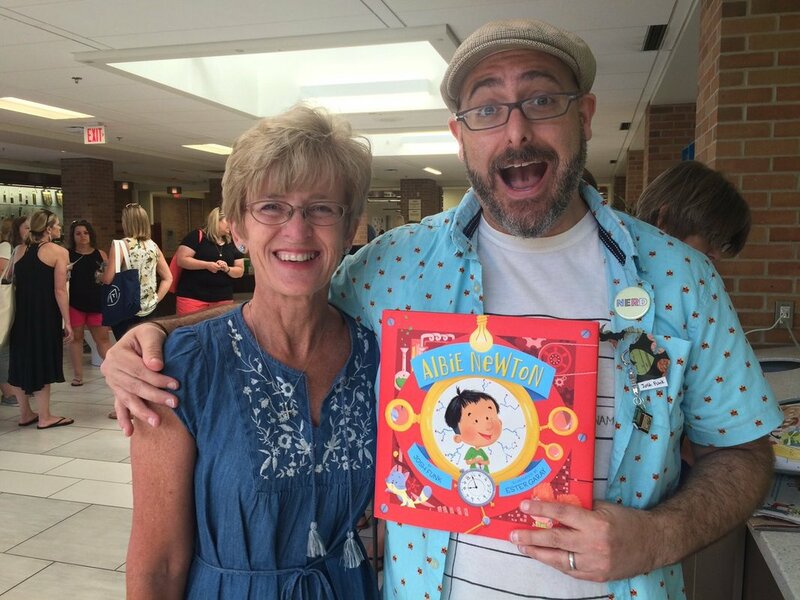 However, I follow Paul Solarz (@PaulSolarz) on Twitter and think he has a lot of great ideas to share so when my colleague bought Learn Like a Pirate, I asked her to borrow it. take risks and are willing to travel to the ends of the earth for what which they value. The full title of the book is Learn Like a Pirate: Empower Your Students to Collaborate, Lead, and Succeed. The gist of the book is about turning the learning over to the kids.....guiding them to be "leaders of their learning" and building the classroom culture to facilitate it. I immediately began thinking about a book I read earlier this summer - Drive, by Daniel Pink. Pink says we need to bring autonomy, mastery, and purpose to the classroom and to student's learning. Why wouldn't we work toward building a student-led classroom where students are autonomous over the task, time, team, and techniques as Pink describes and Solarz brings to his students? After all, autonomy leads to engagement! Solarz uses a PIRATE acronym as a model for building a student - led classroom. The strategies are noted below. What I love about this book is it is quite evident that Paul is a teacher who is very passionate about what he does and is willing to invite us on board his ship for an inside look at how it works. Thank-you Paul for sharing all your great classroom ideas! I encourage you buy his book and read about his other ideas for helping students collaborate, lead, and succeed! I want to begin this post with some questions and ideas from the book for you to think about. Does your school emphasize developing students' thinking dispositions? Is there an urgency to make students' thinking valued, visible, and actively promoted? Does your classroom culture have at its core supporting and shaping learning above all else? How would you define the culture in your classroom? In your school? In your district? We all have experienced being in different cultural groups in our lives. It's all about the messages sent and received among members of the "tribe." Ron Ritchhart defines a culture of thinking as one where the "group's collective thinking as well as each individual's thinking was valued, visible, and actively promoted as part of the regular day-to-day experience of all group members" (p. 3). So what messages are your students receiving and embracing in the culture of your school about themselves as thinkers and learners and about the learning that is happening on a daily basis? Ritchhart emphasizes that "if culture is the key to transform, then we must understand how group culture is created, sustained, and enhanced" (p. 6). In this book, Ritchhart identifies eight cultural forces that can shape and transform a school into a culture of thinking. My advice to you is to read this book in it's entirety this first time. Take notes. Reflect. Think. THEN...re-read it. The second time you read it, digest it slowly and push yourself through the stages of reading-discussion-action-reflection. I am going to briefly outline the 8 cultural forces in this post and then over the course of the 2015-2016 school year, I will be embarking on a personal journal of reading-discussion-action-reflection on each cultural force on the thinking page of this journal as I re-read the book. Expectations: Recognizing How Our Beliefs Shape our Behavior - expectations "for" students....the internal compass with which we operate... our theories of action. These expectations or theories of action MUST be based on an agenda of thinking: focusing on learning vs. work, teaching for understanding, encouraging deep learning strategies, promoting independence, and developing a growth mindset. Language: Appreciating its Subtle Yet Profound Power - includes the language of thinking, of community, of identity, of initiative and independence, of mindfulness, of praise and feedback, and of listening. Time: Learning to be its Master Rather Than its Victim - Connect this to Covey's 3rd habit - "first things first." What are your priorities in your classroom and school? Do you give thinking time in your classroom? Modeling: Seeing Ourselves Through Our Students' Eyes - includes both explicit and implicit messages. Do you, on a regular basis, model who you are as a thinker and learner? Opportunities: Crafting the Vehicles for Learning - the "bread and butter" of teaching. Do you provide opportunities for learning that have a low threshold (all can participate) and a high ceiling (not a lot of limits on what students can do)? (Papert, 1980). Routines: Supporting and Scaffolding Learning and Thinking - What tools, structures, and patterns of behavior are present in your classroom? Many people think of routines as managerial only....but they also include instructional, interactional, and thinking routines. Interactions: Forging Relationship that Empower Learners - How are you fostering relationships with students and supporting who they are as thinkers and learners? Environment: Using Space to Support Learning and Thinking - What messages about learning would a visitor take away from your classroom about the learning and thinking that is going on there? If you want to push your thinking about transforming schools into cultures of thinking, I highly suggest reading this book. Not only does Ritchhart outline each of the 8 cultural forces in depth, he also gives suggested actions to try at the end of each chapter to explore each cultural force, as well as lots of stories from the field of educators who are already immersed in the transformation. I hope you will join me this year as I delve into each cultural force into more detail. 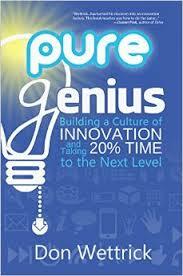 Pure Genius (2014) by Don Wettrick (@donwettrick) is a great book for beginning to think about building a culture of innovation in the classroom. Don is a high school Innovation Specialist, so some of the book is geared to teaching at the high school level. However, an elementary school teacher can gain some good insight from the book. I highly recommend you also read Drive: The Surprising Truth About What Motivates Us by Daniel Pink alongside this book as Pink really explains the nuts and bolts (or "carrots and sticks") of motivation and it makes sense as to why a genius hour or innovation time is so important for student learning. Don also gives tips on how to creatively make a genius hour work within the constraints of the current system. The first half of the book is about building in a genius hour or innovation time and the second half of the book focuses on social media, opportunities, and giving students voice. "Innovation starts at the teacher level. Teachers must be innovative in their approach to teaching, learning, and designing new experiences (p. 7)." "There is a certain magic in the air when students get together and work on things they are passionate about (p. 13)." "Innovation in education is education (p. 15)." "Freedom is hard. Being told what to do, although not exciting, is easy (p. 20)." "Nobody gets excited about what they cannot do (p. 22)." The mission from the beginning is to create the culture of freedom. Create a culture of freedom, not a "culture of limitations (p. 22)." "Leaders should create more leaders." "Great leaders do not lead a bunch of followers (p. 25)." "Fostering future leaders is the key to student success because good student leadership is inspiring and infectious (p. 27)." "There is no plan." "Success comes when you learn to adapt and innovate! (p. 29)." Research centers around topics of personal interest. Learning is done individually or in groups of up to 3 people. Collaboration with a mentor is essential. Presentations are made to key stakeholders at the end. A key takeaway from me from this book is students NEED to be leaders of their learning. Don ends the book with a call to action...a call for ALL educators to incorporate "more innovation and collaboration into the curriculum NOW (p. 148)." Teachers need to be "innovators first (p. 148)" and model these behaviors to their students. So what are you going to innovate today, this month, this year? Connected Leadership: It's Just a Click Away by Dr. Spike Cook (@DrSpikeCook) is a fabulous read not only educators in leadership positions, but anyone that just wants to become more connected in the digital world. This book is an easy read with only 60 pages, but is packed with great ideas and insights on how to become a connected leader. Connected Leadership is part of the Corwin Connected Educators Series. You can buy the books individually or purchase the entire bundled series. By the looks of the authors in the series, I can imagine that each one of the books is as relevant and insightful as this one. The entire book is written as a warm narrative of Dr. Cook's journey intermixed with stories of other connected educators. His style of writing is open and inviting and makes the idea of becoming a "connected leader/educator" less intimidating and frightening. Dr. Cook begins the book with a short introduction on how he "took a leap" off the comfortable road and embraced 21st century technology. My favorite quote from the introduction is this: "Connected Educators are always seeking to grow and learn. The more educators take the leap, and connect with each other through social media, the deeper and more authentic the learning becomes for everyone." Isn't deep and authentic learning what educators are striving for? There are five chapters in the book: A Thousand Mile Journey; Time and Priorities; Inner Reflection, Global Exposure; Building a Professional Learning Network; and Transformation. Dr. Cook launches with a quote from Siddhartha Guatama: "A thousand mile journey begins with one step." In the opening chapter, Dr. Cook outlines for educators how to take that first step. As I talk to educators that are not connected, it seems the first stumbling block really is this first step. How do I create a Twitter account? Who do I follow? What do I tweet? What is a hashtag? How will I have the time? When can I connect? If I start a blog, who will read it and what will I write? Dr. Cook addresses all of these hard questions in the first couple of chapters. Dr. Cook then takes us from getting started to "lurking and learning" to "blogging, tweeting, pinning, and winning" to building a professional learning network (PLN) with other like-minded educators to a full transformation into a connected leader. At the end of the book, Dr. Cook reminds us to keep in the mind that the "most important goal for all connected educators is to improve the learning environment for everyone." I can personally say that I began to build my PLN several years ago and it has propelled my growth as an educator exponentially and truly has improved the learning environment for my students. Dr. Cook's book inspired me to continue and expand my PLN, to launch a blog, and to continue to grow and learn as a connected leader. If you haven't "connected" yet, pick up this book and don't delay. You won't regret it! This page contains brief glimpses into my reading life. I share the books I have read in hopes that it will whet your appetite for reading and learning. I highly encourage you to pick up some of these books and read them in their entirety. To see what I'm currently reading and have read recently, click on my Goodreads montage below. 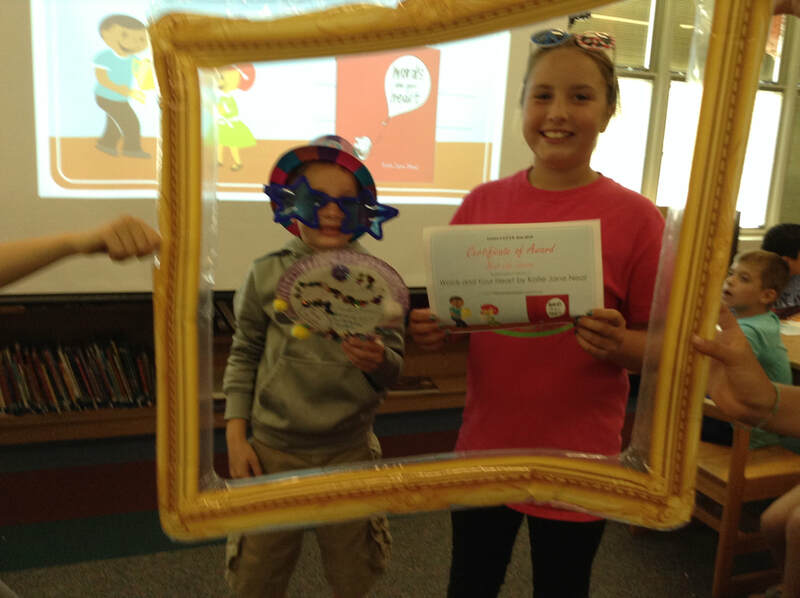 Laura has read 152 books toward their goal of 365 books.